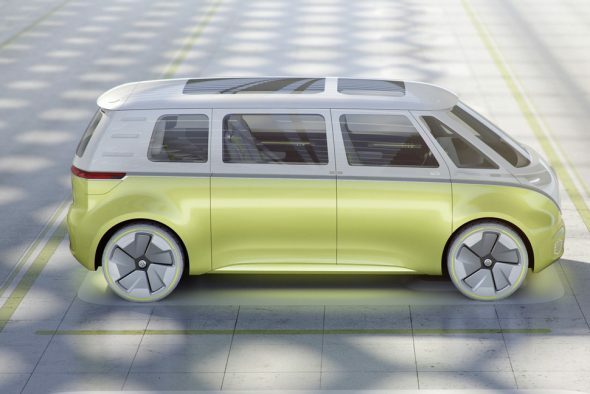 Recently at Detroit’s North American International Auto Show, Volkswagen launched the I.D. 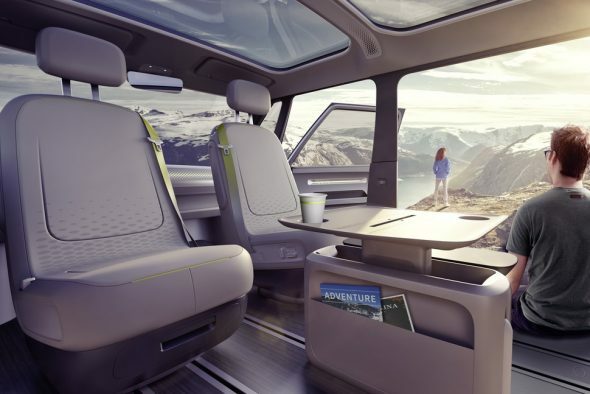 Buzz concept – a modern eight-seater, all-electric drivetrain/van with a 600 km range and integration with impressive futuristic self-driving technology. 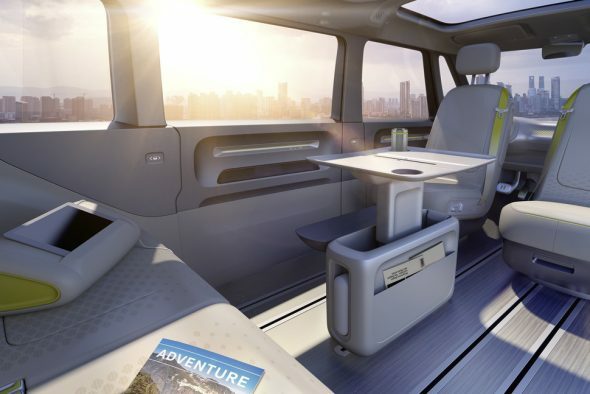 A lengthened version of Volkswagen’s Modular Electric Drive Kit (MEB) platform on which the van is based, theoretically permits two luggage compartments and a versatile seating arrangement (modular seating layouts), which the company claims is the “perfect weight distribution” for eight people. 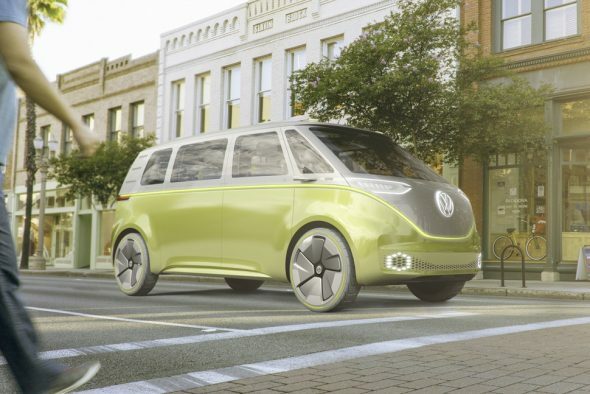 The van boasts of zero tailpipe emissions and a cutting-edge all-wheel, autonomous drive system. It’s 0-62 mph time is all of five seconds and its limited top speed is 160 kmh. 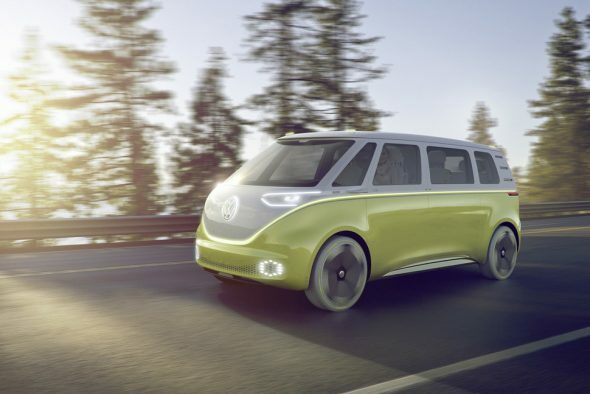 Also, Volkswagen claims that Buzz gets an estimated 270 miles of range by leveraging two motors to power up its 369-horsepower. 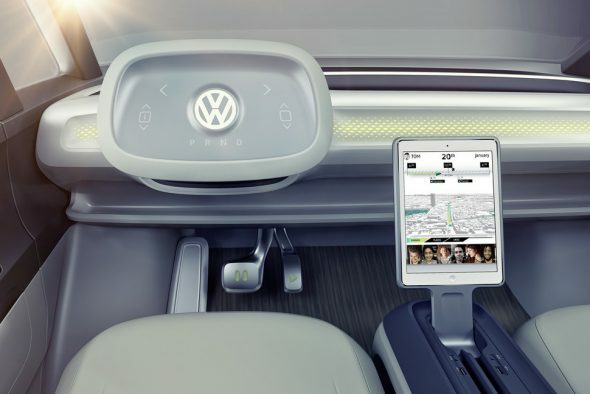 The Buzz showcases augmented reality HUD, its center console (christened the ‘I.D. Box’) serves as the control panel for the driver, and a detachable Bluetooth sound system can be used outside the vehicle as well. 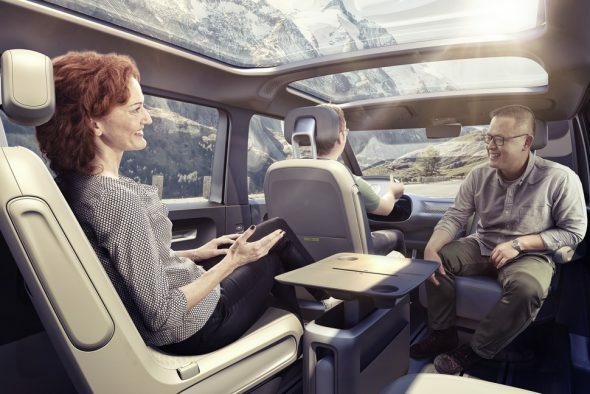 The autonomous driving technology that the van is equipped with also includes a spoke-less steering wheel which when given a gentle push, retracts back into the dash; while tech smarts like laser scanners, ultrasonic sensors, radar sensors, and area-view cameras scope out the road ahead, letting the driver truly relax. The I.D. Pilot mode renders warm and relaxed ambient lighting, elevating comfort levels further. Additionally, the front seats can be manoeuvred to about 180 degrees and the I.D. Box slides towards the back, so rear as well as front passengers could actually have a party while on the move! In addition, the ultramodern cockpit’s head-up display showcases important information and other details like radio channels, temperature controls and more. As of now, the Volkswagen I.D. Buzz is only a concept. 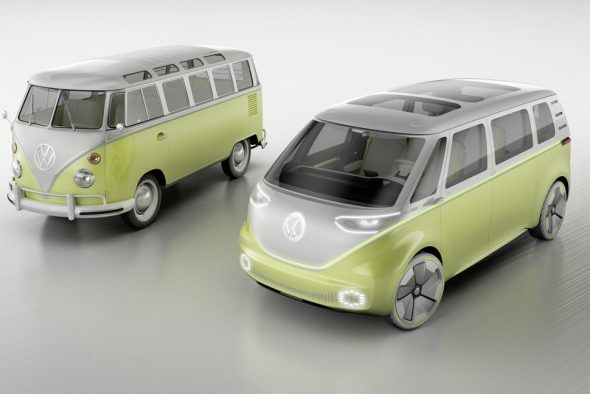 However, earlier reports say that a modern-day ‘Buzz-inspired’ bus could mostly likely join the company’s line-up in 2021, one year post the production version of the original I.D. concept makes its way into showrooms. 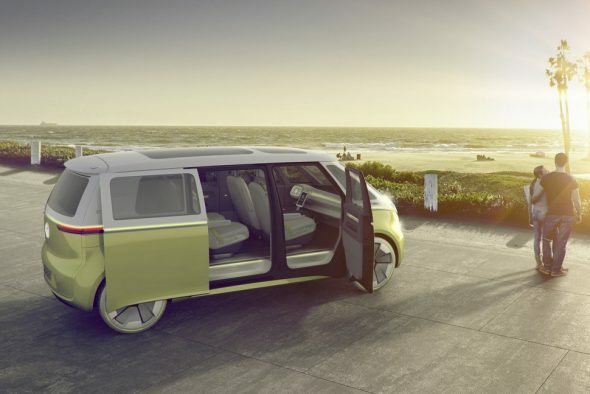 This contemporary, spacious (but compact) vehicle could actually make a key contribution to the on-demand ridesharing network that Volkswagen is aiming to establish. Only time will tell. Volkswagen’s new Passat BlueMotion concept is the most efficient mid-sized sedan!